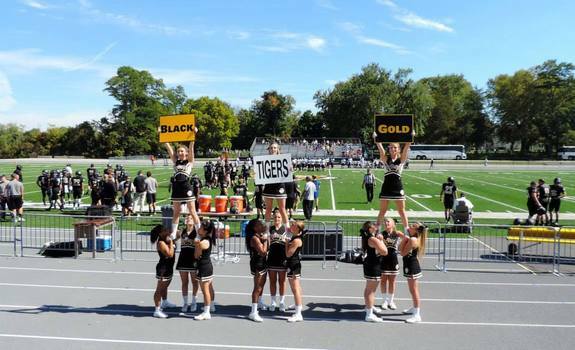 Join the DePauw Cheerleaders for the 2015-16 Try-outs. This year's Fall and Spring Cheerleading Try-outs will be held in April - Time TBD in the Auxiliary gym of Lilly Physical Education and Recreation Center. During try-outs you will learn a chant, dance and the DePauw fight song. You will then be expected to perform these along with jumps, tumbling and stunting. The participants will be evaluated on how quickly they learn material, their performance, athleticism, attitude and overall appearance. We welcome all interested students. Please contact us at cheerleading@depauw.edu for more information. Hope to see you soon!